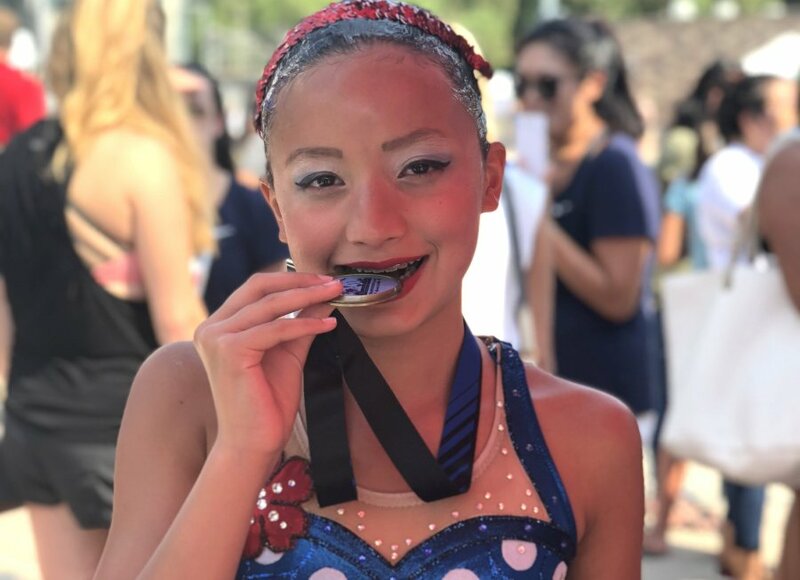 “It felt like a dream come true,” Nathalia Valdez said, remembering the day she learned she had been selected to the National Synchronized Swimming team. The Flower Mound tween has been participating in the sport for more than half her life and said it was a great honor for her. Valdez, 12, attends McKamy Middle School and competes locally for the Pirouettes of Texas. She described synchronized swimming as a combination of multiple disciplines, including gymnastics, speed swimming and endurance training. Athletes came from Mexico, Canada, Puerto Rico, Colombia, Costa Rica, El Salvador and, Jamaica to compete; and, Valdez placed ninth overall in age 12U figures and her team won gold. Synchronized swimming is the only sport in which Valdez competes, because it is so intricate that it requires a lot of different types of training. Valdez’s coach, Cassidy Crew, said being named to the national team is an incredible honor for Valdez and that a number of things make her a truly special athlete. Crew said Valdez is also quick to offer ideas for both conditioning and choreography, as well as having a flair for the artistic side of synchronized swimming. When it comes to how far the McKamy seventh grader would like to take the sport of synchronized swimming, Valdez said she is aiming high. “I want to represent my country and become a Gold Medal Olympian with the U.S. National Team,” Valdez said.